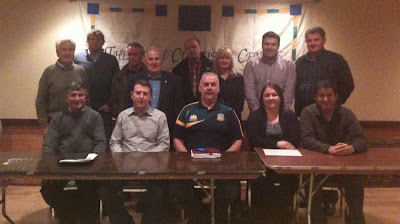 The Boston Northeast Board AGM was held on Sunday, February 12, at the Irish Cultural Center in Canton, Mass. On a day when the biting wind would cut you in two on your way across the bridge to the ICC, and the chill wind whistling through the stand only sound to greet you as you approach the clubhouse, it was hard to envision the scene when the weather and action turns hot and heavy at the height of the summer. The meeting was well attended with representatives from all 12 men’s football clubs, 7 hurling clubs, 2 ladies football clubs, as well as representatives from the youth development board. In addition there were representatives present from the new ladies football club, Connaught Ladies, and the new Hartford hurling club that will be entering the Junior C competition. There was much discussion around games development at both adult and youth level, the rising cost of insurance, and promotion of the games. Outgoing Youth Officer, Ollie Garry, talked about the growth of the underage programs in the Northeast. The number of clubs has grown to 9 in the span of the last three years, with 24 percent growth in the number of registered players from the previous year. In addition, there are 5 more clubs in the pipeline, which is indicative of the amount of work going into youth development. 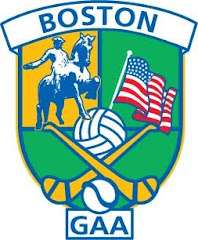 The junior C hurling division is also a fast growing area with a fourth club forming in Hartford, CT and a fifth in the pipeline for Vermont. These developments mean that there will be hurling played in 5 of the 6 New England states. Chairman, John Farrell thanked his fellow board members for the efforts put in over the year, and the clubs for the hard work and co-operation that makes each year a success. All positions for 2012 were filled by the outgoing officers with a few exceptions. After some persuasion, Sharon O’Brien returned to serve on the board in the position of secretary. Sharon had served 8 years on the board in the past and over the years has made invaluable contributions at adult and youth development levels. Outgoing secretary, Dan O’Connor, accepted the position of assistant secretary. Francie Foster, who served as a trustee in 2011, accepted the position of assistant treasurer after Pat Kelly stepped down. There were 3 new trustees for 2012. Bernie Reilly, Eddie Feeley, and serving on the board for the first time, Laura Burns. Best of luck to the new board and all of the clubs in the coming year. Trustees: Laura Burns, Eddie Feeley, Bernie Reilly.